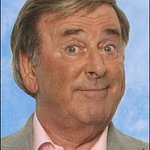 For the third year running, Sir Terry Wogan is to return to Leicester, the place he once famously dubbed the ‘lost city’, for the annual TOGs’ (Terry’s Old Geezers/Gals) convention. The convention will be the fifth time the TOGs have returned to Leicester, and the slogan for this year’s meeting is TOGs 2009 AUSTRALIA (‘All Up Standing TOGs Rally AT Leicester In August’). Sir Terry will attend a champagne reception and lunch at the University of Leicester on Friday 21st August 2009, joining more than 90 TOGs at their three-day convention, held at the University’s Stamford Hall. He will be welcomed by the Vice-Chancellor of the University, Professor Robert Burgess. During his visit Sir Terry will launch the 2010 BBC Children in Need TOGs’ Celebrity Calendar, which to date has raised more than £800,000. Celebrities featured in the 2010 edition include Sir Roger Moore, Midge Ure, Rob Brydon, Alan Carr, Jane Asher, Robert Lindsay and the Wake up to Wogan Radio team. Back in the 1980s, Sir Terry caused local uproar when he dubbed Leicester a ‘lost city’, due to all the motorway repairs in traffic bulletins. But after visiting the city he revised his opinion, and since then he has given it a number of major references on his BBC Radio 2 breakfast show, ‘Wake up to Wogan’. Thanks to Leicester Shire Promotions, Leicester won a Children in Need challenge for UK cities to sell the most Pudsey Paws stickers. The prize was for Sir Terry to broadcast his breakfast show from the city, during which he signed a declaration agreeing never to refer to Leicester as the ‘lost city’ again. Speaking at last year’s TOGs’ convention, Sir Terry said: "What is memorable about Leicester is the kind of welcome you get from the University of Leicester for the TOGs. That is why they keep coming back. Who else can supply us with the kind of welcome and facilities we get from the University? Everyone here is fantastic. Sir Terry will be joined by other Radio 2 personalities, including producer Alan Boyd, the News and Traffic team, the Lottery ‘Voice of the Balls’ Alan Dedicoat, the ‘Welsh Traffic Totty’ Lynn Bowles, and presenters John Marsh and Charles Nove. The ‘Pause for Thought’ team from Sir Terry’s program will also be there, including Canon Roger Boyle, Rev Rob Gillian, Rev Ruth Scott, Rabbi Pete Tobias, Lt Col Charles King of The Salvation Army and the Buddhist Dharmachari Nagaraja. BBC Children in Need will be represented by Gareth Hydes, Head of Editorial at BBC Children in Need, and Jodi Saul. This year’s TOGs’ convention has an antipodean theme and will also include portrait opportunities by artists who are currently taking courses at the University’s Richard Attenborough Centre through its Lifelong Learning program.